Like all biorbs, the biOrb 105 uses special ceramic media to provide biological filtration, which has a surface area equivalent to the size of a football pitch. Any excess waste is collected and held in a filter cartridge at the base of the biOrb. To maintain your biOrb 105 all you need to do is simply replace the filter cartridge every four weeks and change a third of the water. The biOrb 105 has an intelligent light which uses long life LEDs to automatically replicate a natural 24 hour light cycle. 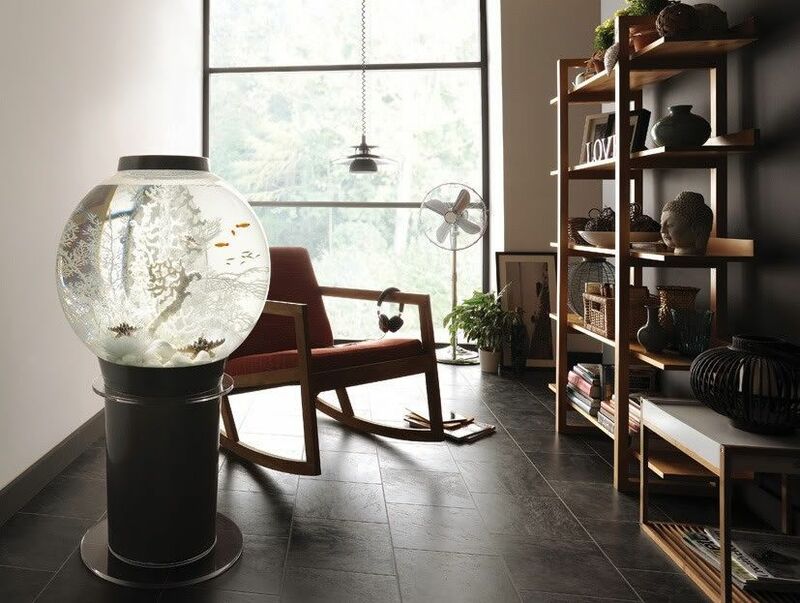 You can keep larger species of fish in your biOrb 105 - go tropical or marine - and still enjoy the benefits of an aquarium which is simple to look after. The biOrb 105 is our largest biOrb yet. Large on volume. Large on filtration. But still small on maintenance. Like all biorbs, the biOrb 105 uses special ceramic media to provide biological filtration, which has a surface area equivalent to the size of a football field. Any excess waste is collected and held in a filter cartridge at the base of the biOrb. The biOrb 105 has the Intelligent LED Light which uses long life LEDs to automatically replicate a natural 24 hour light cycle.